I am going to need my wits about me to unravel this mystery! There but for the Grace of God, go I? Where did that come from again? John what’s his name. John…? John Bradford, that’s it. Something about criminals being led to a scaffold to die, him looking on and thinking – it could have, should have been him instead? Something like that. So, she’s, the criminal being led to the scaffold, or is that the other woman, or is that me? I’m standing behind her now. Look at her, no one would ever know, except me. My eyes, bearing through her like a spear, no wait – she’s turning in my direction, can she hear my thoughts, feel my glare? I reach down just in time, pretending to adjust my sandal strap until she turns away again. It makes me twitch, how precariously close to the edge she stands, eyes down, locked on the beach. Beneath her, sprawl – rocks, mottled, jagged stacks, capable of spearing or cracking a skull, should anyone accidently…slip. I’m still here, I didn’t die. I’m not stuck in some warped after death experience – I really did survive. Pulling heavy arms from tight sheets, I clamp my ears, whirring subaquatic sounds thumping from one to the other, like listening to the sea in a shell but much louder. Do I want to be alive? wriggle my toes; they feel odd against the numbness of my ghoul-like body. Would it be better to be dead? This sounds really tense and suspenseful. It’s not my usual type of thing, but it looks quite intriguing! Thanks! 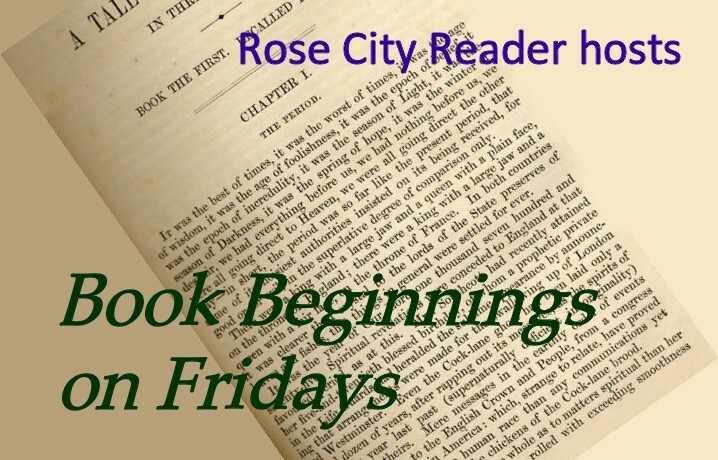 My Friday Beginnings this week. 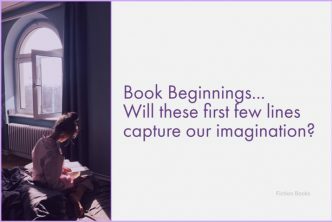 Having checked out ‘Foxes & Fairy Tales’, I can quite see how this book may not be for you, and whilst I admit that I do prefer a good murder / thriller above all else, I also read quite an eclectic mix of genres, including historical fiction, so I hope to stop by often to check out what’s new in the space! I’ve enjoyed your earlier posts about this book and this one adds to its appeal even more. But I’m scratching my head… the prologue is in 2017 and someone is being led to a scaffold?? Is she dreaming? I’m curious! This book has been receiving some good reviews, although generally with the caveat that you need to be on your toes when you read it. Apparently, the action does jump back and forth between time frames, although the chapters are relatively short and well marked and date stamped. I am assuming (maybe totally incorrectly), that the prologue set in 2017 relates to Andi and the life she is currently leading. Whilst chapter 1 set in 2001 is going back to whatever incident occurred between Andi and Camilla at university!! I need to pick the right time and place to settle down quietly with this book and read it in as short a time as possible, so as not to lose my thread! Okay…going back and reading the prologue again, I now understand the whole scaffold business. Duh. Never fear… I’ve had a good reading month so far and have a draft in progress to share what I’ve read! Speaking of – time to shut down the laptop and go read! I wish I was that disciplined about shutting down the laptop, then I might actually get to read more … I sometimes think I am my own worst enemy! I am not generally influenced by the reviews about a book before I get to read it for myself. However, there are so many mixed opinions about this book, that I would read it anyway, as I am so intrigued. It has been noted that the descriptions of the story’s Cornish setting are excellent, which as the county is one of my favourites, has to be good. 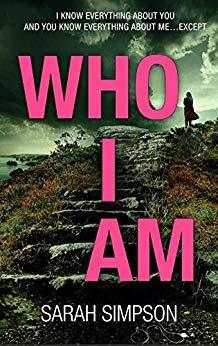 Also the fact that ‘Who I Am’ has also been described as a true psychological thriller, rather than a mystery thriller, has set the style of writing and plots twists to a whole new level, rather playing to these opening passages, which really messed with my head trying to sort the timeline out! I’m still not sure whether it should be call ‘Who I Am’, or ‘Who Am I?’, which is probably what I shall be asking myself by the end! I think this storyline is going to be a bit of a minefield to negotiate and it certainly does sound rather ‘dark’ and brooding, to say the least. Sounds like a very unreliable narrator, which can be quite a challenge. I can see why the reader would need to be on her toes. The reviews to date seem to indicate that this was either a story you stuck with, or one you gave up on pretty quickly. However those readers who persevered seem to have reaped the benefits of the experience, with the perceived unreliability of the narrator eventually manifesting itself into making this a real page-turner! This certainly doesn’t sound like your average mystery / thriller, does it? The cover is just as I like it though – in keeping with the premise, not overly cluttered or complicated and not giving too much away! This sound mysterious. I am curious about who she is. Enjoy it when you read it! It took me a while to figure this one out and I think I finally got it! 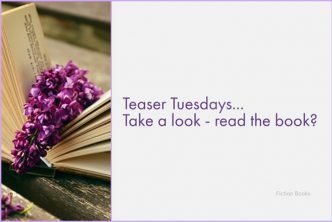 However, just in case all I’ve done is back myself into a corner, I’m going to let you wait until I publish a few more ‘teaser’ posts, by which time hopefully, the storyline will have untangled itself a little. When the first couple of pages of a book can mess with your mind like this one has, you know for certain that it is going to be a true psychological thriller, in every sense of the word!